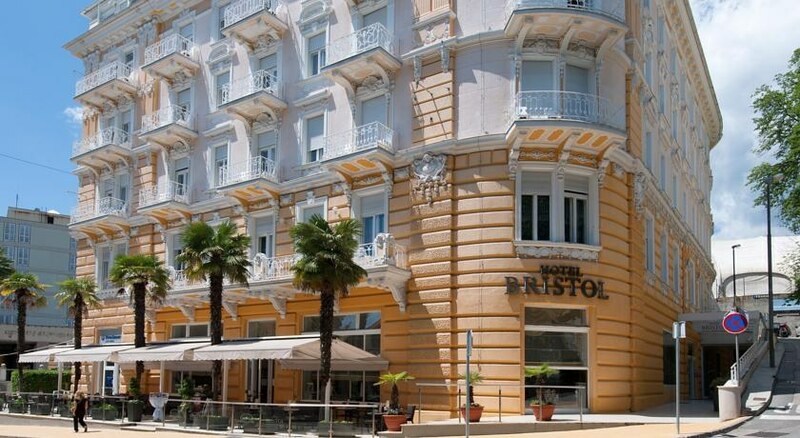 The Hotel Bristol is located in the centre of the Adriatic seaside resort of Opatija amid the stunning landscape of the Kvarner Gulf. It consists of 78 elegant rooms and suits designed to offer guests comfort and services. The restaurant, the Viennese style caffe house , brand new Spa & Beauty area and the other hotel facilities contribute to enjoy a pleasurable and joyful stay. It is the perfect choice for those looking for a relaxing holiday. 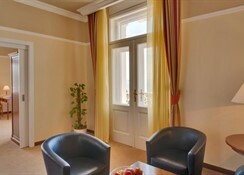 The hotel is a short distance from the town centre and the beach, and approximately 45 km from the airport of Rijeka. Tourist tax per person per day has to be paid on spot and is not included in the price Parking 12,00 Eur per night. Pets allowed - supplement 10,00 Eur per pet per night.